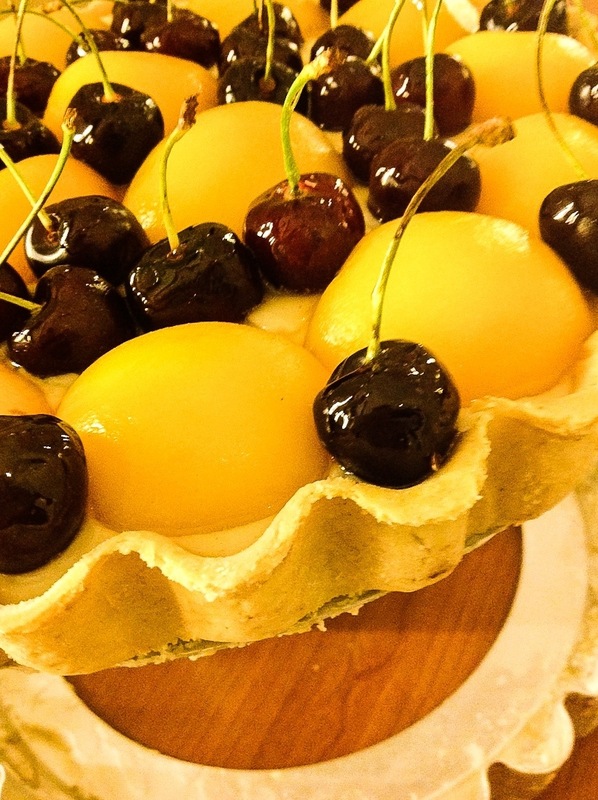 Good old fashioned Peach and Cherry Sundae Tart …. A great aunt who passed on to me so many good old fashioned recipes came to tea yesterday. I am going through a phase of making fruit tarts as I love the summer fruits available locally. Somehow tarts feel more summery than cakes. I decided to make a Peach Sundae Tart from a recipe she gave me and as I was finishing it off I spotted a box of fresh cherries in the fridge and used them too. 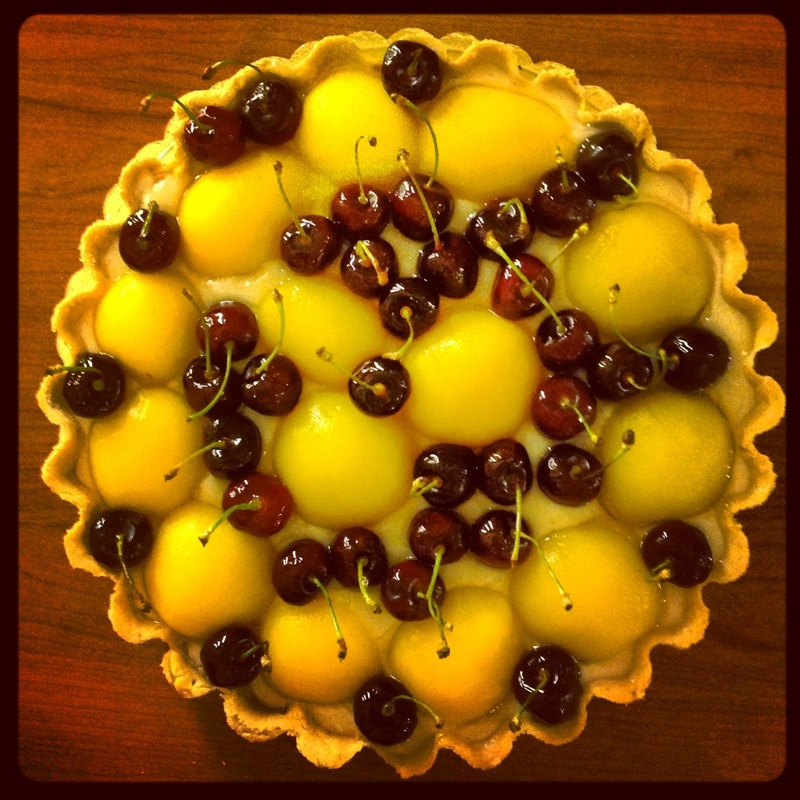 The result is an even more beautiful tart ! The combination is so pretty and it certainly shall be something I will make more often ! Sieve flour. Rub in butter until mixture is like fine breadcrumbs. Add lemon zest and mix in well. Add sugar. Make well in the middle of the dry ingredients and mix in half the beaten egg. Bring together to form the pastry and only add more egg gradually if needed. it all depends on the size of the eggs and weather and humidity also effects this. You need a soft pliable dough that is not sticky. Place pastry in cling film in fridge for at least half an hour. Grease the tart dish. Roll out pastry and line the bottom of the dish. Dock the pastry with a fork and place in fridge again for at least 15 minutes. Bake the pastry case blind for 15 minutes. For a quick way to bake blind without the hassle, look up my posting on baking blind. Allow to cool. Gently heat the first six ingredients and bring to a gentle boil stirring with a wooden spoon. Add the cornflour mix and stir. Remove from heat immediately as it starts to boil and carry on stirring. Pour over the cooled down crust. Decorate with peaches and cherries before the custard cools down completely so that they will set in the pie. Place in fridge. Take out of fridge and glaze by heating up three spoons of apricot jam and brushing onto the fruit. 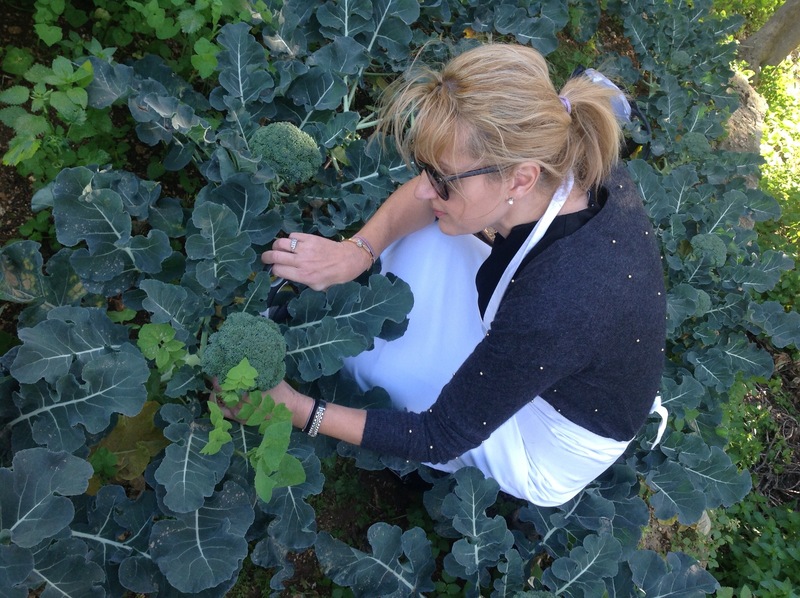 And fresh broccoli for some fresh soup tonight ! ← Arancini for an al fresco lunch …..